Three small sections of redwood are laminated with 5-minute epoxy. A saw is used to trim the tip to a rough shape. 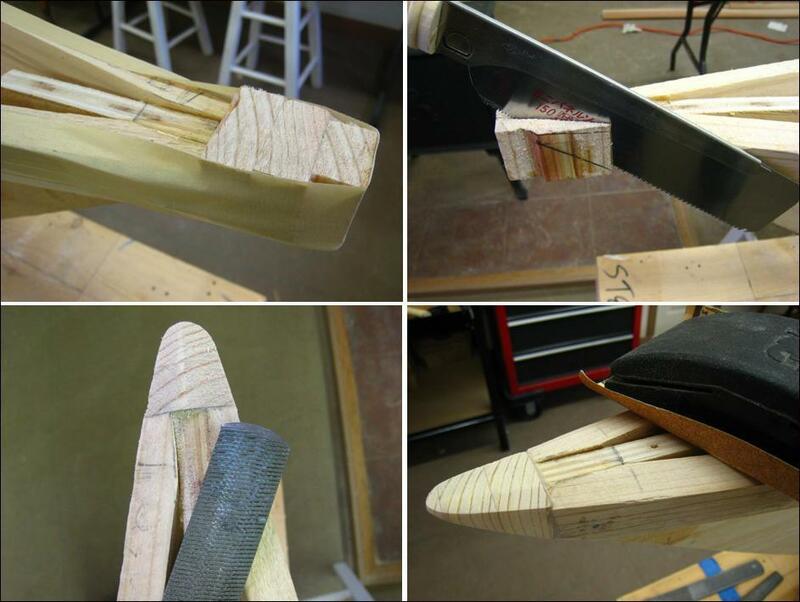 A file and sandpaper complete the shaping of the tips.